HAS THE ANSWER TRIO Whether you need crushers, screens, feeders, washers, conveyors, or all of the above, the Trio ® range has you covered. We're not here to sell you one piece of the puzzle, our highly skilled team of Weir Minerals engineers look at your entire operation and decide how the Trio ® range can help. 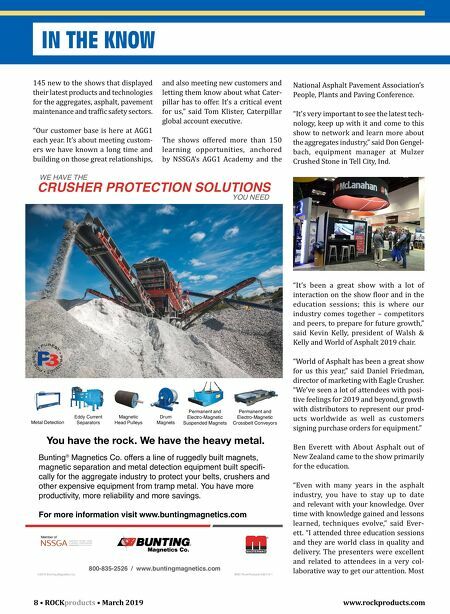 It's everything you need to run a Construction Aggregates plant, all in one place. 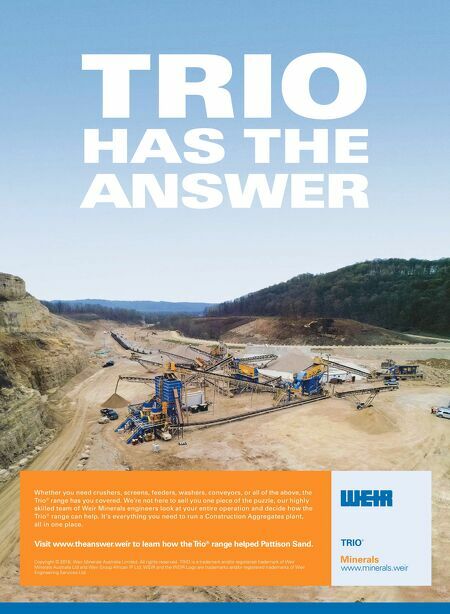 Visit www.theanswer.weir to learn how the Trio ® range helped Pattison Sand. www.minerals.weir Copyright © 2018, Weir Minerals Australia Limited. All rights reserved. TRIO is a trademark and/or registered trademark of Weir Minerals Australia Ltd and Weir Group African IP Ltd; WEIR and the WEIR Logo are trademarks and/or registered trademarks of Weir Engineering Services Ltd.